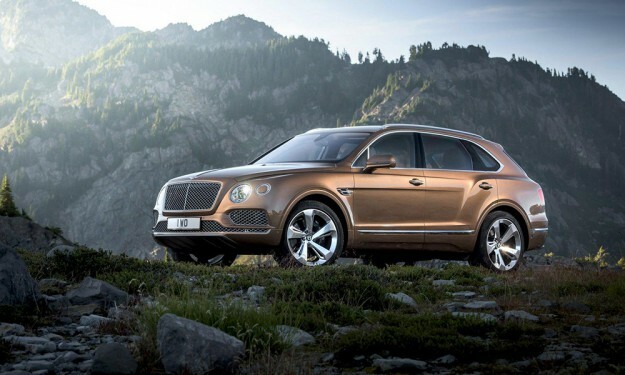 According to carmag.co.za the ride carries a 6,0-litre W12 engine that produces 447kW and and 900 Nm of torque. The transmission is an eight-speed auto that sends power to all four wheels. 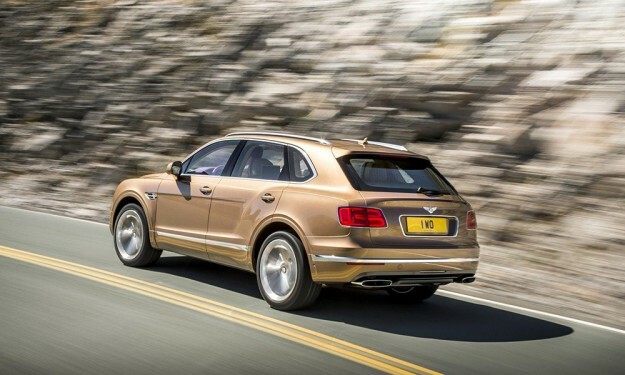 Bentley claim a 0-100 km/h time of 4,1 sec and a top speed of 301 km/h. This helped, says Bentley, by an “aluminium-intensive body” that makes it some 236 kg lighter than had it been made of traditional steel.They also claim an 14,7 L/100 km for the combined cycle fuel consumption which is fairly impressive given the Bentayga’s performance abilities. CO2 emissions are 292 g/km. While the front end takes its cues from the rest of the family – Continental GT and Flying Spur – the rest of the car is pretty close to the EXP 9 F concept. It’s not the most beautiful SUV out there and is awkward from some angles, but it certainly does have presence. Perhaps the rear three-quarter view best shows of its muscularity with powerful shoulders and a sweeping roofline. As you’d expect, the interior leaves you no doubt that your large bank transfer was justified and there’s leather and handcrafted finishings everywhere. 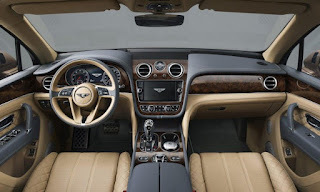 It has Bentley’s familiar split cockpit design with the centre console dominated by the infotainment system and eight-inch display. 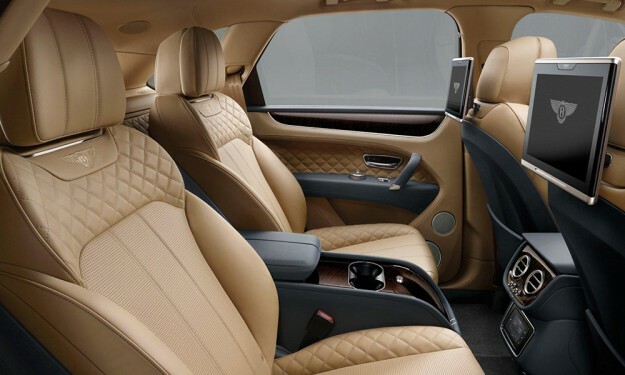 The front seats, covered of course of premium leather upholstery, are 22-way adjustable and have heating, ventilation and massage functions. You can also specify a four-seat interior with two individual rear seats. These are 18-way power adjustable and also have heating, ventilation and massage functions, as well as integrated footrests. A panoramic glass roof is standard and features two panes. The front panel tilts and slides, while the rear panel is fixed. 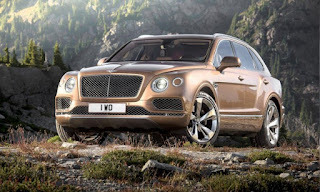 Options include a 1 950 watt Naim for Bentley Premium Audio system and Android-based Bentley Entertainment Tablets with 4G, WiFi and Bluetooth connectivity. The car will appear in Bentley showrooms in Q1 2016.